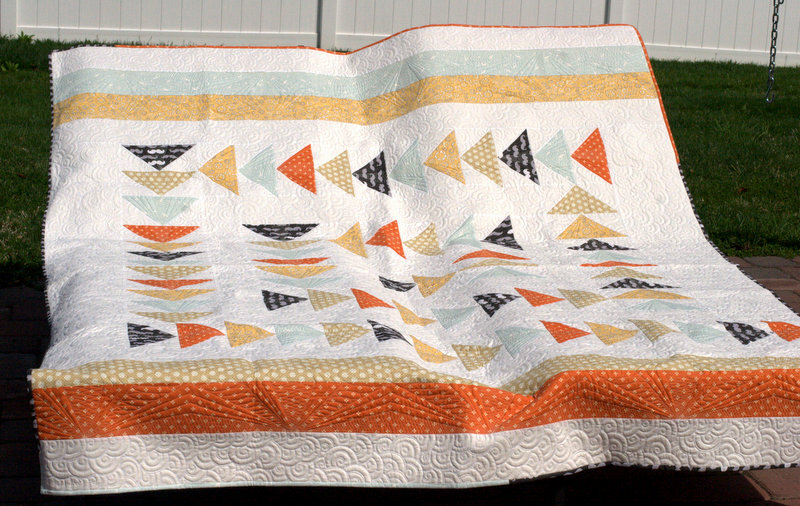 This is the home of Orange Room Quilts, run by me (Jackie Reeve). 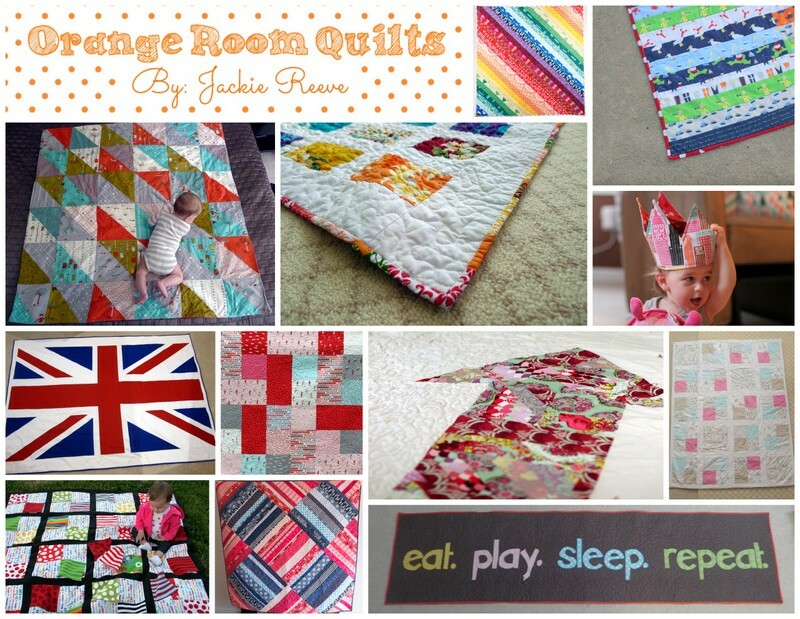 I’ve been blogging as The Orange Room at jackiereeve.com for years (you’ll notice you were redirected here if you visited orangeroomquilts.com). Please feel free to poke around! Click here to get to my blog. My mom taught me to sew the summer before 3rd grade so I could make a special outfit for our first trip to DisneyWorld. The outfit was extremely unfortunate (it was 1987, let your imagination take you there), and I quit sewing. 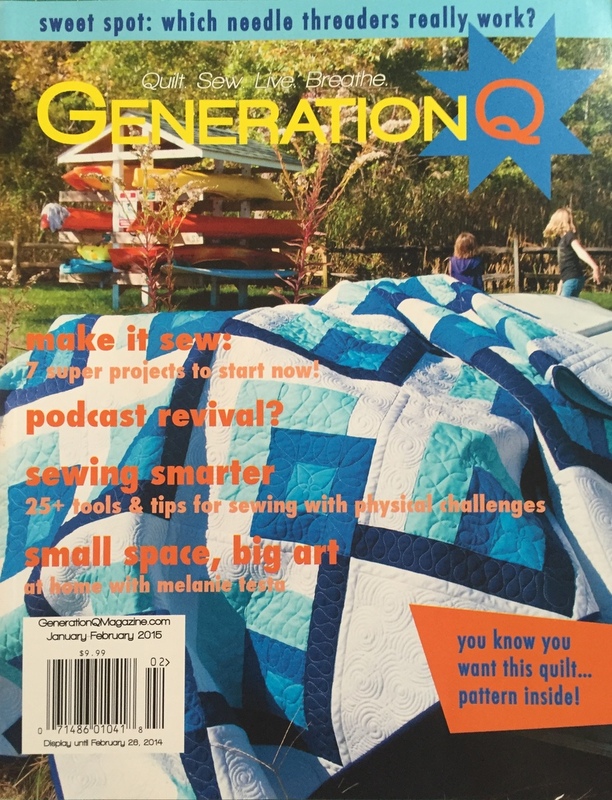 But somewhere around 2006 my mom gave me a sewing machine for my birthday and then months later talked me into taking a quilting class with her after a hilarious attempt at making her an apron for Christmas. I think she was trying to tell me something. I was hooked. And then I saw that incredible color wheel quilt in Joelle Hoverson’s Last Minute Patchwork + Quilted Gifts in the window of the original Purl SoHo shop and thought, “Quilts can be like this? 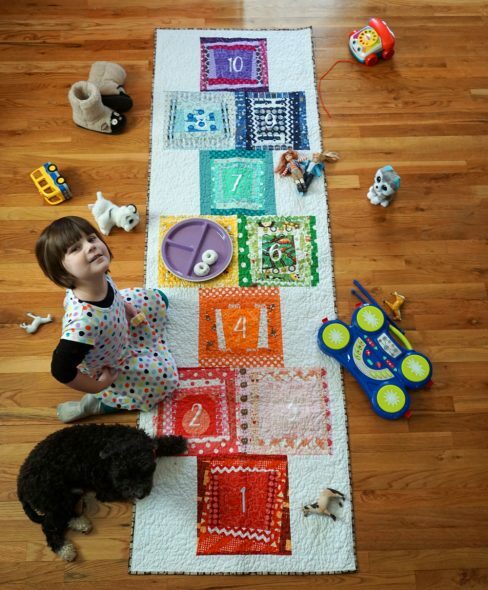 !” I’ve been finding every excuse to play with color and texture since. My quilts are bright, quirky, and whatever I want to make and learn at the time. Many of them have a geeky edge. You can see everything I’ve made over the years here. You can also check out my new Etsy shop here and like my Facebook page. Let’s get to know each other! My Hopscotch Mat was published in Make Modern’s Issue 15 in March 2017. 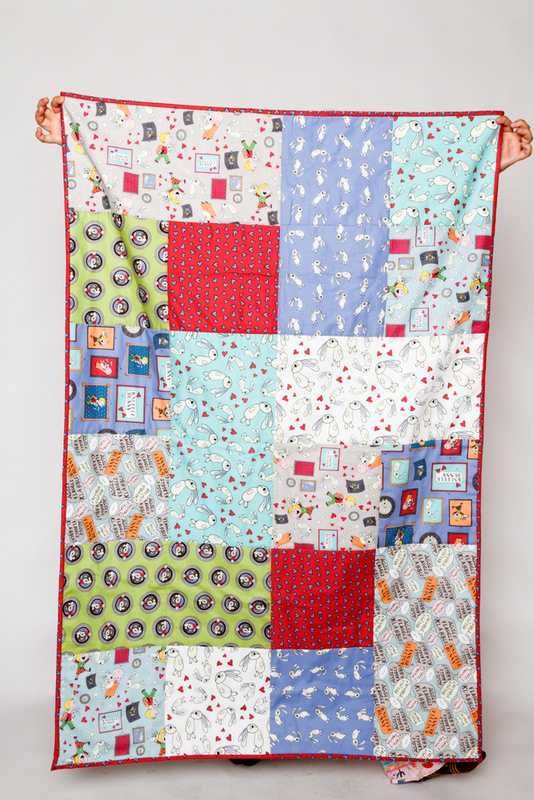 In fall of 2015, I designed a free quilt pattern for Cloud9 Fabrics to accompany the launch of their Mo Willems’ Knuffle Bunny line of prints – Easy Peasy Knuffle Bunny Quilt. I blogged about it here. And then they asked me to remake it in 2016 for their Corduroy fabrics. 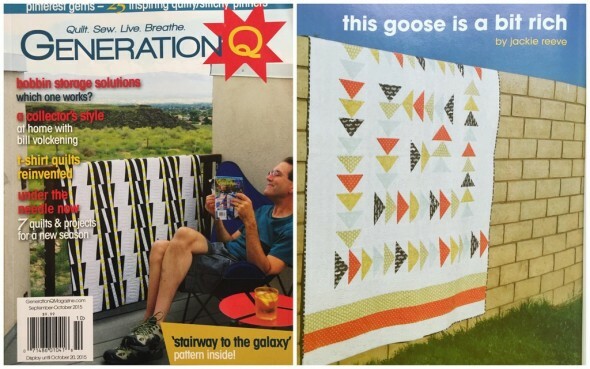 My “This Goose Is a Bit Rich” quilt was published in Generation Q magazine in the September/October 2015 issue. “This Is the Droid You’re Looking For” was published in Generation Q magazine in the January/February 2015 issue. 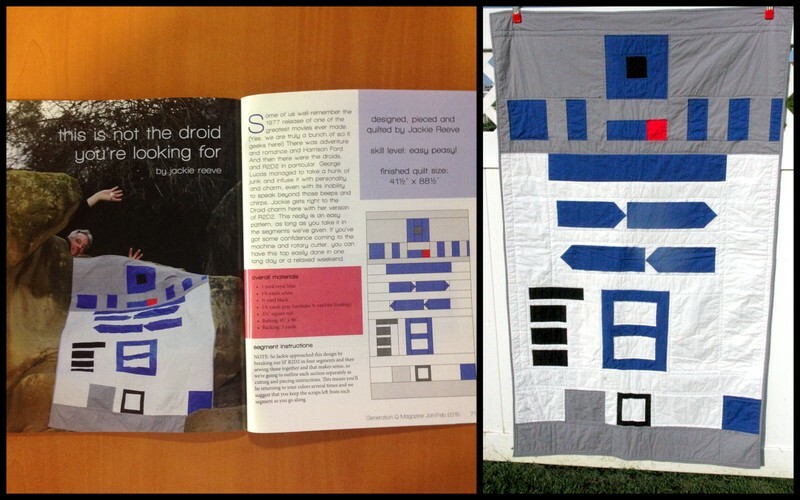 The title is printed as “This Is Not the Droid You’re Looking Form” but I’m going with my original title. I blogged about this one here.